Experience the magic of Ireland over seven nights. After arriving in Dublin, transfer to the Shelbourne Hotel. Spend two nights in Dublin, with trips to Malahide Castle, the fishing village of Howth, and Guinness storehouse. 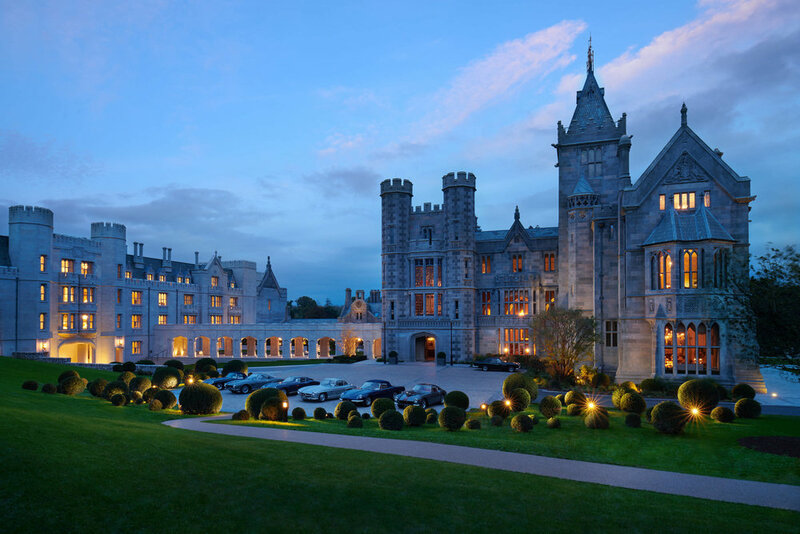 From Dublin, transfer to the luxurious Adare Manor. Built in the early 1800’s, Adare Manor is a stunning five-star property named “Hotel of the Year” in 2018. Adare Manor is situated in the heart of Adare Village, considered one of the most picturesque villages in Ireland. The village boasts rows of quaint thatched cottages that house beautiful design studios, restaurants and shops. Spend the final night of this program at The K Club. The K Club is located in the heart of the idyllic Irish countryside in the village of Straffan. Built in 1832, on the banks of the River Liffey, the original house was modelled on a French Château and still retains many of its original architectural features, art work, and antiques. The K Club is home to two Championship golf courses, the Palmer Ryder Cup Course and the Smurfit Course.